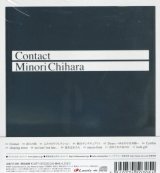 This is a solo album by Chihara Minori (茅原実里). This CD includes Minori's three singles, "Shijin no Tabi", "Junpaku Sanctuary", and "Kimi ga Kureta Ano Hi". Promo videos of these three songs can be found on her DVD Message 01.